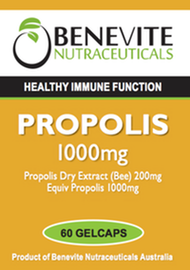 Benevite Nutraceuticals™ Propolis is a resinous substance collected by bees from poplar and conifer buds. 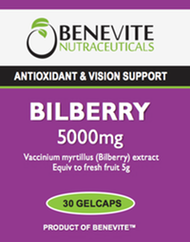 It may support healthy immune system function and assist the body’s natural immune response. Propolis has antioxidant activity and can therefore assist in protecting the body from the harmful effects of free radicals or oxidative stress. Propolis helps in the maintenance of general wellbeing.